Paula Goolkasian is a Professor of Psychology and Director of Cognitive Science at the University of North Carolina, Charlotte. She is a member of the Health Psychology PhD program and participates on research teams with the medical staff from the Salisbury W.G. (Bill) Hefner VA Medical Center and Pain & Orthopedic Neurology in Charlotte. She received her PhD degree in Experimental Psychology from Iowa State University in 1974. Her research interests are in the area of perception and attention with over 80 research articles and presentations at professional conferences. Her research in pain perception has been supported by grants from pharmaceutical companies, NIH, NIMH; and she has been the principal investigator for 6 NSF grants. She has a long history of involving graduate and undergraduate students in her research activities. 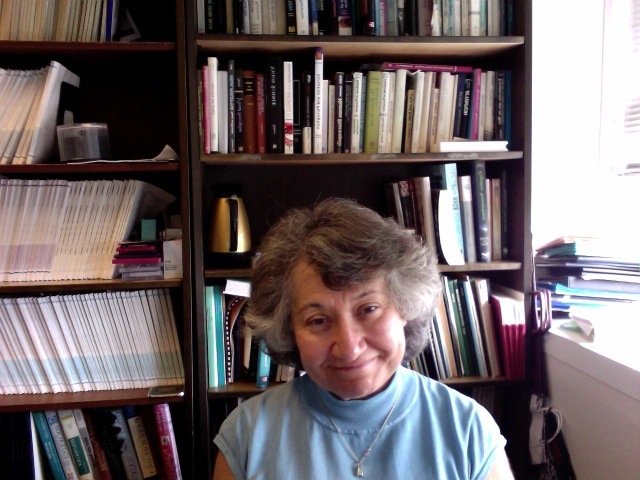 The Perception Lab, which she supervises, has housed 7 dissertation and masters theses and over 50 independent research projects conducted by undergraduate students. 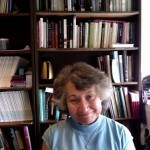 She was active in The Society for Computers in Psychology (President 1994, Secretary/Treasurer 1988-91, Steering Committee 1986-99, 2000-2003) a scientific society that promotes the instructional and research applications of computers. She is a fellow of the American Psychology Association, and the Association for Psychological Sciences. Currently, she is an executive editor of The Journal of General Psychology, and on the editorial board of The American Journal of Psychology and PsycCRITIQUES. The Perception lab is a 3-room suite designed for research in perception, attention and human performance. Projects included processing of visually presented clock times, retinal location and its effect on target and distractor processing, attention to target and distractor processing across the functional visual field, size scaling and its effect on letter detection, picture-word differences in a sentence verification task, presentation format and its effect on working memory, age difference and format effects in working memory and priming effects with ambiguous figures. A number of projects with chronic pain patients have also been conducted in the lab. In addition to working with patients suffering from fybromyalgia and pain associated with the upper spine, we developed and validated the Neck Pain and Disability Scale and have run studies evaluating the effectiveness of cognitive behavioral therapy and Botox injections. Click on the following link for copies of publications. Cognitive Science: An Interactive Approach by Paula Goolkasian with Ted Carmichael, Marvin Croy, Mark Faust, Boyd Davis, Heather Lipford, Mirsad Hadzikadic, Anita Raja, and Lori Van Wallendael is available from National Social Science Press Web site.